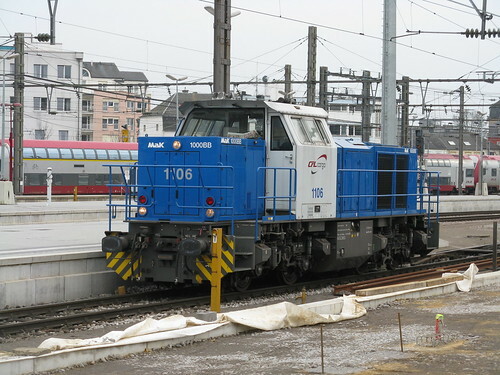 CFL Class 1100 (Vossloh G1000) no. 1106, Luxembourg Gare, 2 March 2009. This is one of six locomotives on hire from Angel Trains Cargo.